Introduction: Whenever an electrically conductive surface that at the same time offers a high optical transparency is required, ITO coating glass series are used. ITO coating glass is achieved by sputter-coating a thin conductive layer of indium-tin-oxide onto high quality glass substrates. The conductive transparent ITO glass is often used for display technology and micro structuring applications. Other typical applications based on our ITO glass are the manufacturing of transparent ITO-electrodes, integrated invisible flat antennas, antistatic windows, heating and de-icing windows with an optical function, far infrared mirrors and many other unique technical appliances. Introduction: Whenever an electrically conductive surface that at the same time offers a high optical transparency is required, ITO coating glass series are used. ITO coating glass is achieved by sputter-coating a thin conductive layer of indium-tin-oxide onto high quality glass substrates. The conductive transparent ITO glass is often used for display technology and micro structuring applications. 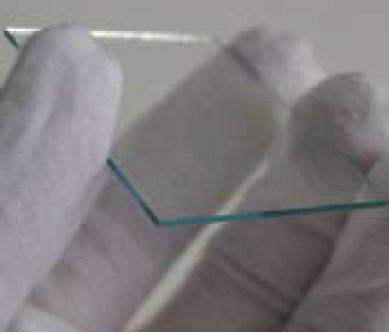 Other typical applications based on our ITO glass are the manufacturing of transparent ITO-electrodes, integrated invisible flat antennas, antistatic windows, heating and de-icing windows with an optical function, far infrared mirrors and many other unique technical appliances.We offer double-side coated ITO glass substrate series here for some new applications. Introduction: Films of Aluminum-doped Zinc Oxide(AZO) coating, are transparent and electrically conductive. They have the property of high transmission in the visible region and high transmission applicable to IR wavelengths as long as 12um(for film itself).